I could hear the proverbial pin drop. I’d just told an audience during a presentation that we’d recently reviewed a client’s lease agreement and had made some findings. ACORPP has continued to strengthen its position in the Brisbane property market, securing a new office at 307 Queen Street in the heart of Brisbane’s CBD. ACORPP has been forging close relationships with Curtin University in a program that offers work experience to students studying within the construction industry space. 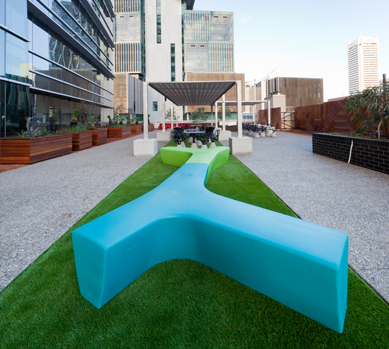 Perth office vacancy rate: improvement, or swings and roundabouts? Could the end be in sight for our record high CBD office vacancy rate? Clues are slight, but there may be room for cautious optimism. Is it just me or are there signs the slide in commercial construction projects may have bottomed? The political tsunamis generated by the UK’s Brexit and the election of President Donald Trump have flooded through into the corporate world and focused the discussions of global commercial property leaders at the bi-annual ITRA conference in Paris recently. Director of Projects, Gordon Bateup, was one of five guest panel speakers invited by the Healthier Workplace WA initiative to lead a discussion on leadership of this important workplace issue. Office vacancy rates in Perth continue to edge upwards, but any signs of stabilisation may take a hit when Woodside’s new headquarters is completed, and that’s projected to be by the end of this year. A snapshot of the national construction sector tells us one thing: the only certainty is the uncertainty. The world’s foremost global real estate accreditation body that certifies property and construction professionals has banned the practice of dual agency representation in the UK. ACORPP Brisbane has embarked on a social networking calendar in 2017, hosting monthly networking lunches in the Landmark Wine room at the Tattersalls Club in Brisbane. ACORPP Market Voice - Brisbane Commercial - Where are we? 2016 saw the addition of more office space to the Brisbane CBD than has been completed in recent memory. ACORPP were appointed by Network Ten to provide property strategy, relocation site selection, lease negotiation and project management when TEN Perth were ready to move from their 28 year old studio in Dianella to their new cutting edge premises in Perth’s fringe location in Subiaco. We have some particularly impressive professionals here at ACORPP and our latest recruits are no exception. ACORPP Projects team shines on, recognition awarded for outstanding achievement. We are all about healthy minds and healthy bodies at ACORPP, so our office took part in a 6-week corporate challenge with the VAULT fitness centre. ACORPP staff Christmas functions were a resounding success with everyone engaging in activities ranging from delicious food festivities through to testing their skills on the archery range. When it comes to sustainability, sometimes we forget that it’s the little things that add up to big things. In this edition of our Market Voice, we will explore the inherent conflict between landlords and tenants. The WA construction market continues to be slow-moving, with Perth yet to experience the full brunt of the effect of the mining industry tapering off. ACORPP is pleased to have been part of the new wave of suburban retail hubs opening up across Australia. When should you review your accommodation requirements? Are you looking to renew your lease or simply wanting to review your accommodation requirements? There are a number of things you should keep in mind when doing so. Despite the madness and mayhem leading up to it, everybody loves to celebrate the EOFY and ACORPP is no exception. We are incredibly pleased to congratulate Neha Dodia as the much deserved winner of the Western Australian Chapter. In this Market Voice, we switch our focus east and see how the commercial property is faring in Brisbane. Local ACORPP director Matt Buckley analyses the statistics that show sector doldrums are not confined to just Perth. Brisbane’s city skyline is peppered with cranes giving rise to a perception of a booming construction market. And it’s true – but it’s emphatically weighted in favour of the residential sector with big unit complexes going up in the CBD and inner city locations. Money talks, but sometimes it talks in its own language and you need to be an accountant to understand what’s actually being asked for when it’s time to fund a new lease. Personal guarantees are often easier for start-up / smaller businesses where capital is required for operational growth and having cash set aside is a hardship. Always try and limit this to a set amount to minimise the overall exposure – particularly if a business has multiple sites. Where possible however, it is far safer to not provide personal / director guarantees. ACORPP clients and friends proved ex-Top Gear trio, Jeremy Clarkson, Richard Hammond and James May, don’t have an exclusive lease when it comes to motoring fun. Pressure on Brisbane rents and office construction has created a strong demand for independent property advice. ACORPP in Brisbane has now boosted its team with the recent appointment of Liam Scanlan as an assistant property consultant. Last November, Perth commercial office market was described as experiencing “the perfect storm” of falling demand with new supply creating high vacancy rates. There is plenty of crystal ball-gazing going on in WA right now as businesses in the construction industry try to figure out how the year is going to pan out. Depending on who you talk to or read, the messages are mixed. Prospective and existing tenants are at the mercy of a curious set of industry dynamics where the typical multinational real estate agencies organising their lease can often also be representing their landlord. ACORPP’s Brisbane office is fielding a high impact addition to its team with the recruitment of former Brisbane Lions player, Jamie Charman. Another sports star has joined ACORPP following the recruitment of former Brisbane Lions player Jamie Charman. Former Greek swimming star Danai Sianou has joined the Perth office as a Project Manager. ACORPP celebrate staff Christmas party after impressive end to the 6 week corporate fitness challenge. The gradual softening of face rents in the Perth CBD toward the end of this year has been well-documented. Landlords have mounted a rearguard action for several months, offering increasing levels of incentives to ward off what they feared most. In the end, as always, the market dictated that face rents would have to fall. An online Fairfax Media article recently asserted that there would be enough vacant office space in the Perth CBD to seat the entire population of the southern suburb of Canning Vale (approximately 30,000 people), once current office construction projects were completed. In light of that daunting statistic, it would seem counter-intuitive that further construction could be a way forward in the current malaise that has depressed the WA economy. 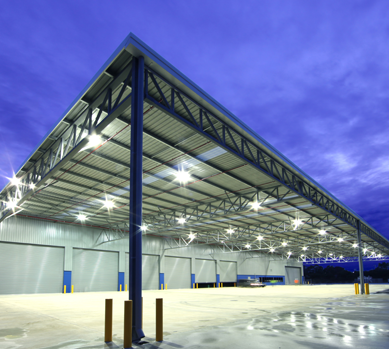 It's a real temptation in the commercial tenant market that exists right now to grab more space than you need, just because it's cheap. You know how it goes...the landlord is offering all kinds of inducements: rent-free period, fit out contribution, lower face rent. He might even throw in a few slabs for the office Christmas party. Rent and wages are business's two biggest costs. I'll leave the employee cost assessment to other professionals, but on the property front, it's a reasonable questions to ask: just how productive is your office space? What ROI does it deliver? Even casual monitoring of part of that costly space - like ubiquitous meeting room - can be instructive. A Perth commercial tenant was overcharged nearly $50,000 over two years, an error that was only detected during a lease renewal. ACORPP Director Lisa Seun said the mistake had been made by a property manager who had charged rent for the outdoor area of a 200 square metre tenancy at the same rate as the indoor area. Perth ACORPP team members are enduring six weeks of potentially life-changing challenges in a bid to reach new levels of fitness. They’ve signed up to a wellness program at “The Vault”, a CBD gym only available to corporate tenants. Director Gordon Bateup said the ACORPP group had been inspired to join the program both to achieve personal goals and to help foster team spirit. The winner of our last 2XU fitness giveaway was Steve Long of JMG. The ACORPP-branded sports gear has proved popular with our readers and so we are offering another cycling top! Tenant leasing specialist says it would take nearly that many people to fill the empty office space in the Perth CBD, following the completion of commercial construction projects in 2015. A weakening job market, the mining sector downturn and slower migration means there will be enough empty office desks in the Perth CBD to seat almost every resident from Canning Vale by the end of the year. Canning Value is the most populous suburb in Perth with 30,665 residents, according to the 2011 Census. ACORPP has traditionally dealt in the physical space of the workplace, but there is an increasing demand for the integration of the digital space into the upfront strategic planning of leases and fitouts. Nowhere is that approach needed more critically than in a learning environment. It sounds like the beginning of an old joke: how do you get 265 lawyers and staff from six floors in one part of St George’s Terrace to another? Sub-leasing in the Perth CBD has emerged as one of the biggest threats to face rents in the ever-tightening commercial lease market. The Perth office market continues to soften, resulting in face rents starting to succumb to incentives of around 35% and in some cases up to 50%. The concept of maintaining artificially high face rents to preserve market values for ‘book values’ is unrealistic and only requires an increase in interest rates and/or a default in cash flow for the ‘commercial property deck of cards’ to come tumbling down. The vacancy rate in the Brisbane CBD is at an all-time high of 15.6% with the greatest concern around B grade buildings which now have a vacancy of 23%. Total vacancy is 343,313sqm with 48,353sqm of that being sublease space. Expectations are that the double digit vacancy will be with us for a decade with new supply to add pressure to the market. I did my very first group ride recently with a "bunch" (also known as a “peloton”) as part of my training for “The Brisbane Ride to Conquer Cancer” in August. Before the group ride I had only cycled by myself or with one other rider. 10 minutes into the ride and we arrived at a red traffic light, worried about riders all around me, I was too slow to unclip my shoes and hit the deck in front of 12 other riders I had just met. Yay, me! Colleague Frank Bowyer and team mates pounded WA bush trails over a gruelling 22km earlier this month to help raise funds to combat Multiple Sclerosis. Workplace design principles in the classroom! 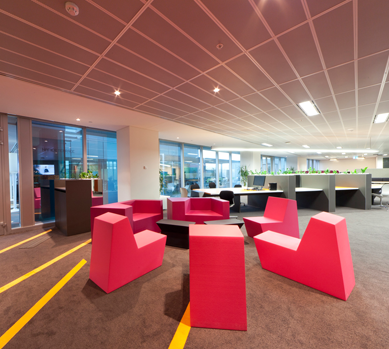 Workplace design principles could soon be finding their way into the classroom, according to ACORPP director, Gordon Bateup. 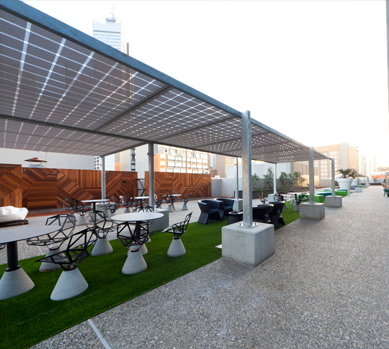 Our Perth office has a 4.5 Star NABERS Energy Tenancy Rating and is currently targeting a 5 Star - as part of that process ACORPP signed up with CitySwitch. CitySwitch is a high-value, free service that supports commercial office tenants in achieving a four star or higher NABERS energy rating. It is easier to obtain than it sounds. Find out how we did it here. Winning is easy all you need to do is go to our ACORPP Linked-In site and follow us, so click here. New followers up to the 10th June 2015 will go into a draw to win a cycling kit, this includes jersey and knicks. 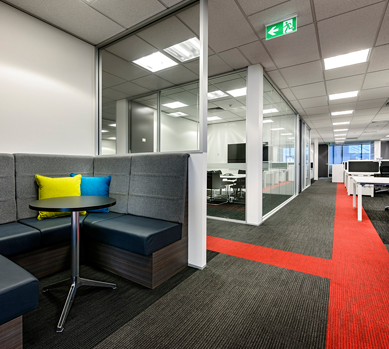 Imagine a workplace that could readily adapt to your needs without a team of builders and electricians invading your space, causing disruptions to your business and cash flow. A huge over-supply of commercial space in the Perth market has given existing and intending tenants a significant negotiating advantage, according to ACORPP director, Mario Macri. In the last newsletter we announced our membership of global tenant representation organisation, ITRA Global. Okay, Christmas was a while back, but it’s still closer than the next one! The year 1995 saw some amazing beginnings. eBay was launched, the first installment of Toy Story premiered, and the company that became your ACORPP was established. Every project that ACORPP takes on has hidden client value and savings, according to director, Gordon Bateup. In our last newsletter, we touched on the role of the company director in commercial leasing. Property and office accommodation costs are typically the second biggest company expense after payroll. We suggested that directors engage professional consultants to secure the best leasing deal and to advise how to best minimise relocation costs. Dealing with change and forecasting future sector impacts are key challenges facing businesses like ACORPP, says director Gordon Bateup. "The foremost cahllenges have always been there; sustainability remains a pressing concern, and businesses must constantly change in order to grow." he said. 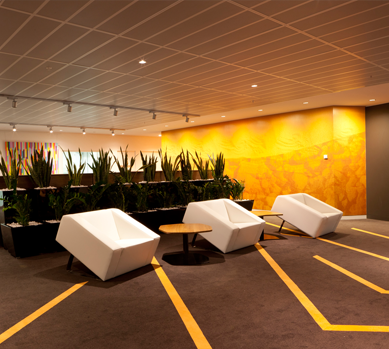 Workplaces can positively impact their bottom line if they work smarter and creatively with the spaces they occupy. “Activity Based Working” is a methodology that introduces flexibility into a workplace setting. 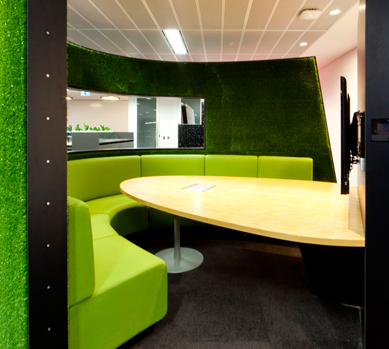 ACORPP Project manager and ABW expert, Gordon Bateup, said that ABW reimagined-workspaces reflected the different type of work that an employee might engage in on any particular day. Over the years, we’ve heard many horror stories from tenants who have locked themselves into long leases that unreasonably favour the commercial landlord. It can be next to impossible to extract yourself from a legally binding agreement. Congratulations to ACORPP project manager, Joe Copland, who was recently appointed as the chairperson to a committee within the Royal Institute of Chartered Surveyors (RICS). ACORPP has been a member company for the past two years. RICS globally promotes and enforces the highest professional qualifications and standards in the development and management of land, real estate, construction and infrastructure. Asked what his purpose for attending the camp was, Matt explained it was more than just an attempt to become a mature age recruit! The Ride to Cure Diabetes is an incredible event where people from all over Australia meet for the weekend or just the day, to commemorate their fundraising and cycling achievements. Matt Buckley from our Brisbane office and Justin Boelen from our Perth office decided to take on the challenge, training vigorously in the lead up to event where they were to tackle the 160km ride through the Barossa Valley! At ACORPP we are committed to sustainability and have this approach on an ongoing basis as part of our culture, which is why we signed up to CitySwitch, beiong the first non CBD office in WA to do so. More and more SME’s (Small to Medium Enterprises) are making this commitment to reduce their energy costs and in helping in the education of SME’s and energy savings, ACORPP was selected to be a case study for our endeavours. 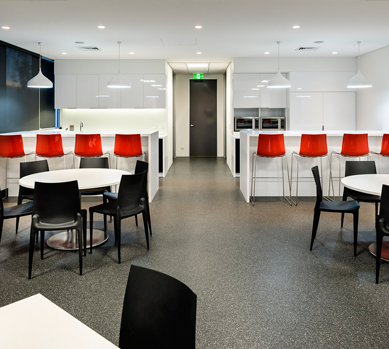 ACORPP recently project managed the refurbishment of M-Block at Perth’s QEII Medical Centre, to create a technology-rich wet lab and three interconnected e-learning suites for two schools within the UWA Facility of Medicine, Dentistry and Health Sciences. The project started with a clear brief, to implement new e-learning “dry” practical sessions within a series of e-learning suites, which would feature in a state-of-the-art world class teaching program and accommodate ever-increasing class sizes, together with the adjacent practical wet laboratory. The Client required the facility to be used by a variety of students within the Faculty of Medicine, Dentistry and Health Sciences. The refurbishment was designed to address the change in student profile, provide greater flexibility in the utilisation of the building and to upgrade out-of-date facilities and bring them into the 21st Century. The Brisbane office launched on 1 July and what a start we have seen! The reception from the market for our services has been fantastic and we have seen some significant wins in our short existence, starting with 6 EOI’s or renegotiations for tenants being undertaken that collectively have saved them over $2,000,000! We also undertook property analysis and due diligence programs for prospective buyers and owners as well as negotiations for tenants who were in disputes with their landlords. Again, we have been able to demonstrate successful outcomes and achieved great savings for our clients. It must be an ACORPP Christmas Party! So let me set the scene…It was a warm and sunny summers day. The team of ACORPP Perth sat comfortably in their office feverishly closing out work to be completed before Christmas…The clock struck noon. Bong! Screens went blank and lights switched off as the team stepped out to enjoy what would be the ACORPP Christmas Event. ACORPP is pleased to announce that they have become a regulated firm by the RICS (Royal Institution of Charted Surveyors). The Ride to Cure Diabetes is an incredible event where people from all over Australia meet for the weekend or just the day, to commemorate their fundraising and cycling achievements. You’re guaranteed to have a great time with the JDRF Team, who plan a seamless event with a seriously fun itinerary, professional bike mechanics and massages at the finish line! Happy New Year from ACORPP!!! The team at ACORPP would like to wish you and your family a very Merry Christmas and a safe and Happy New Year! Currently in Perth, there is a growing interest within the construction industry about the role of Superintendent. Who is the Superintendent? 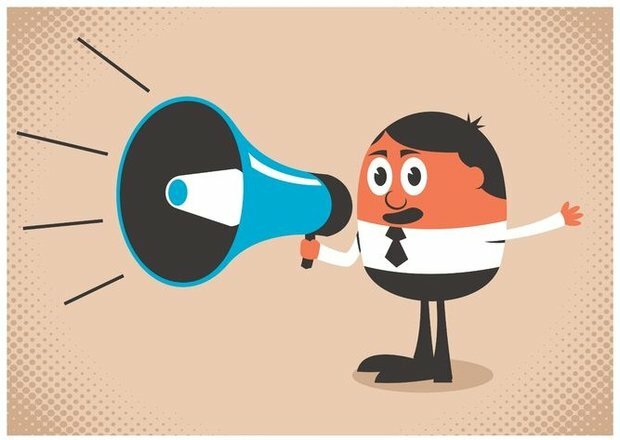 What is their role within a project? Why are they important? Due to growth within the company ACORPP found it necessary to move from their existing premises. The tenant advocacy team set about finding an appropriate tenancy that would not only accommodate existing personnel but allow for future growth and expansion. ACORPP are providing an open house for their new office in Perth. 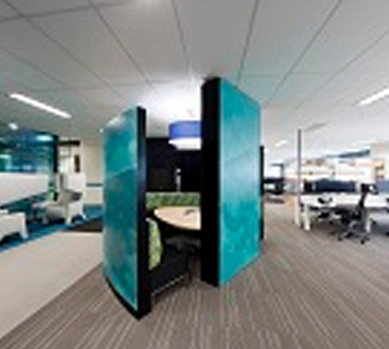 The fitout will show attendees pratcical examples of how small to medium sized workplaces can achieve a sustainable outcome. Karla Fox-Reynolds, and Ecologically Sustainable Design Consultant for Cundall, has provided advice to ACORPP and will be in attendance to talk about sustainability within workplace design and construction. Five men and two women arrived bleary eyed to the State Equestrian Centre on Saturday the 17th August to take on the well known ‘Mudd Rush’. The Hawaiian Ride for Youth is one of Australia’s premier charity events. Held annually over 5 days in March, the riders travel from Albany to Perth covering over 700kms to raise money for Youth Focus. ACORPP are currently Project Managing the refurbishment of the QE11 M Block Wet Laboratories and Computer Areas, to meet with new E Learning teaching formats, to achieve maximum flexibility and to implement successful IT and AV solutions. The University of Western Australia’s Faculty of Medicine, Dentistry and Health Sciences formal opening of the M Block eLearning Suites and Wet Laboratory occurred on 4th June, this official ceremony was by Vice Chancellor Paul Johnson. The RICS (Royal Institution of Chartered Surveyors) Western Australia committee has now been selected and ACORPP's Gordon Bateup and Frank Bowyer will sit as part of this committee.